Neatorama and The Presurfer are cooperating once again in a give-away. This time we are giving away 3 Tentacle Doorstops. 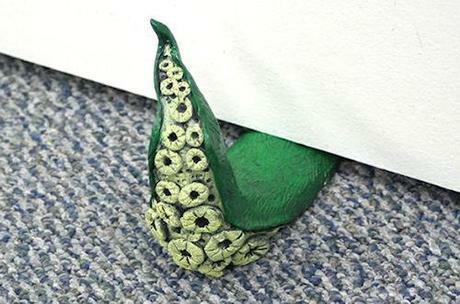 Yes, a doorstop shaped like a tentacle that is crawling out of the door. Works on all kinds of floor (carpet, wood, concrete, laminate, etc.). With exquisite level of details and made from tough urethane resin with thick rubber padding for tight grip. No two are exactly alike - paint details may vary as these are hand painted. Go here to find out what you have to do.